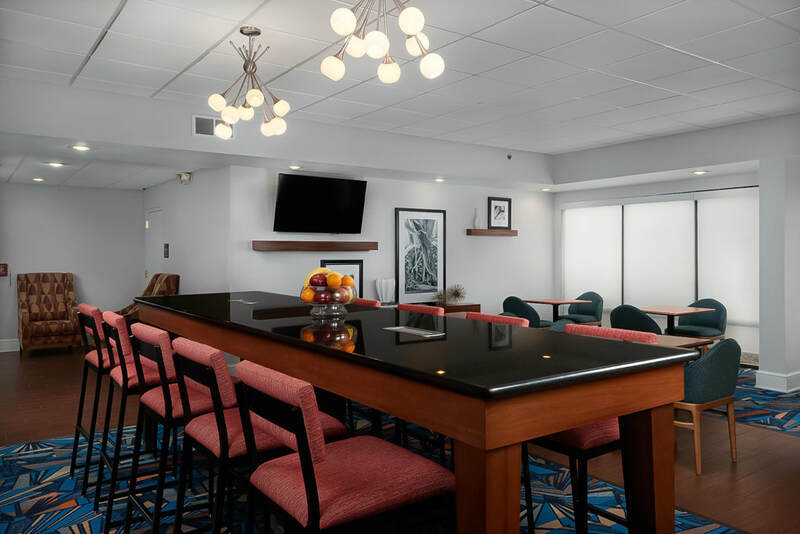 The Hampton Inn Youngstown-West/I-80 hotel is located midway between New York and Chicago, as well as Cleveland and Pittsburgh, just off Ohio Interstate 80 and State Route 46 S, in Austintown, Ohio. Our hotel is just six miles west of downtown Youngstown, perfect for business and leisure travelers alike. Our hotel offers quality accommodations, friendly and efficient service and clean, comfortable surroundings.
" This is one of the friendliest and cleanest hotels to stay in. We made a last minute decision to get away for the weekend and were not disappointed. It was so close to malls, restaurants, and anything else that you could want to visit when you go away from home. The staff was incredible."